a note from apple seeds: How Do Dinosaurs Say Happy Chaunkah? 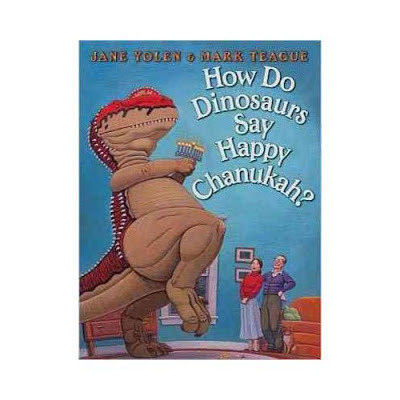 How Do Dinosaurs Say Happy Chaunkah? Check out this fantastic book by author Jane Yolen and illustrator Mark Teague in the half dozen toy store! Buy 2 or more books and get 15% off each book! From the warm glow of holiday candles in the menorah to the fun of family gatherings, little dinosaurs love to celebrate the Festival of Lights. But sometimes the excitement of Chanukah, its treasured rituals, and the tradition of gifts can tempt a youngster to misbehave. . .